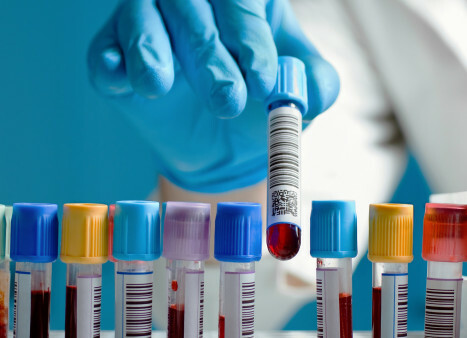 More newly diagnosed cancer patients should get tested, says a new study. When it comes to cancer prevention, early testing is one of the most important factors in a person’s survival and quality of life. So why aren’t more cancer patients getting screened for hepatitis B virus (HBV), hepatitis C virus (HCV), HIV and other infections after they’re diagnosed? As the SWOG Cancer Research Network center reports, recent results from the largest study of hepatitis B, C and HIV infection prevalence among cancer patients to date show an “alarmingly high” rate of undiagnosed acute and chronic hepatitis among them. This is hugely important to oncologists, since these viruses can cause life-threatening complications when certain cancer treatments are used. As a result, study researchers are suggesting that universal HBV and HCV screening may be called for in cancer clinics. Universal testing could also help providers make better informed choices about cancer therapies, including avoiding those that may reactivate and spread hepatitis viruses. For the study, investigators tested 3,051 eligible cancer patients for HIV, hepatitis B and hepatitis C between 2013 and 2017. Patients lived in both rural and urban areas and received treatment at 18 hospitals across the country. Both minority and female enrollment in the study were high. The most common types of cancers among the participants were breast, blood, bone marrow, colorectal, and lung cancer. Of those participants, 6.5 percent had a history of hepatitis B; 0.6 percent had chronic hepatitis B; 2.4 percent had hepatitis C; and 1.1 percent had HIV—rates similar to those found in the general population. Among those identified to have a history of hepatitis B, 87.3 percent were undiagnosed prior to the study screening, as were 31 percent of those with hepatitis C. The study found no evidence of large numbers of undiagnosed HIV infections, though 5.9 percent of people living with HIV were diagnosed during the study. Many patients had no risk factors— such as a history of drug use or known past exposure—for their viral infections. “Screening may be especially important now that we’ve entered the age of immunotherapies for cancer,” noted Scott Ramsey, MD, PhD, a SWOG investigator and director of the Hutchinson Institute for Cancer Outcomes Research at Fred Hutchinson Cancer Research Center. 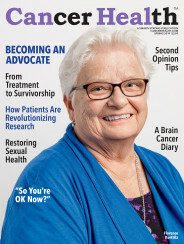 “Oncologists should know as much as possible about the overall health of the people they treat,” Ramsey added. Ramsey is also analyzing the results of a separate SWOG study that would determine whether universal hepatitis and HIV screenings among cancer patients would be cost-effective. The results of that study will be released later this year.